Haven’t we all dreamt of sky high lashes? The ones that curl up to the heavens? Why the heck didn’t we get those passed down in our genes? let us introduce Sarah – the lady here to save your life. 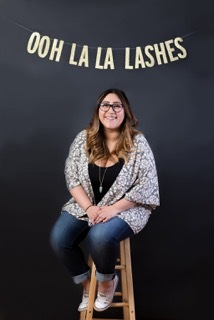 Sarah is the girlboss behind Ooh La La Lashes and a certified Lash & Brow babe here in YYC. Check her out! I am a certified Lash & Brow Babe. 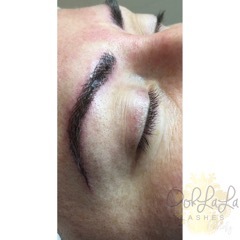 I provide my clients with knowledge and amazing services of Lash Extensions & 3D Eyebrow Microblading. 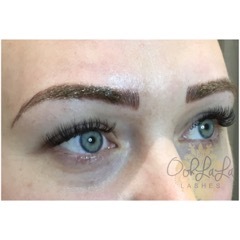 My goal is to see all my clients leaving the shop feeling fabulous about their new Lashes & Brows. 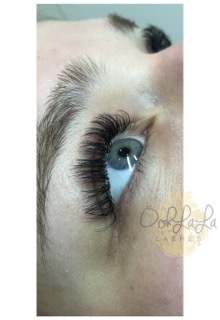 I have been Lashing part -time for years, but decided to dive head first into the beauty industry starting my own business, Ooh La La Lashes in December of 2015. I wasn’t happy with my job and wanted to do something different that didn’t involve a computer. So I looked into Lash Extensions and signed up for that course. I became enthralled with the beauty industry, suddenly I found myself enrolled in aesthetic programs and found the constant need to learn more about everything beauty. My inspiration for my work comes from my clients – I enjoy seeing my clients light up when they see their Lashes or their Brows for the first time. I love how they leave the shop feeling more beautiful, confident or just plain happy. 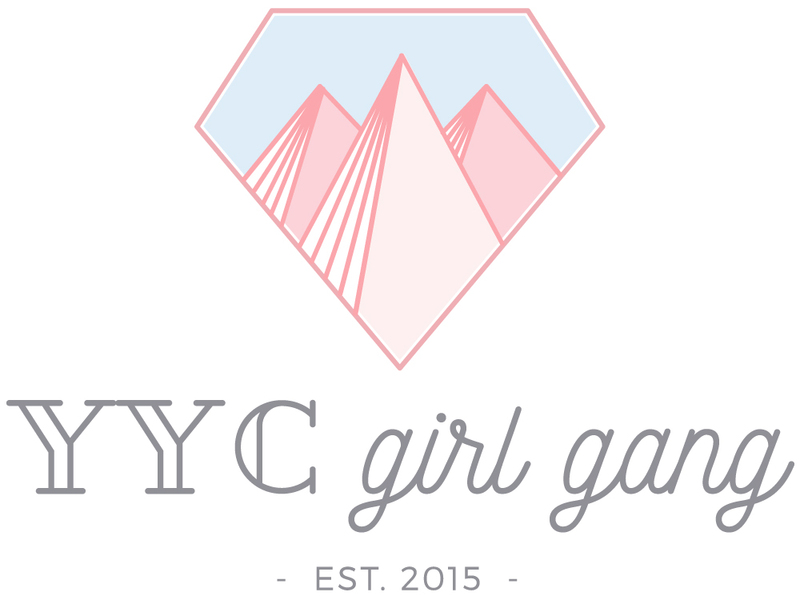 I would love to have my own brick-and -mortar store front in a trendy community. Where ladies can come and get beautified and eventually become an educator in the Lash & Brow field. I absolutely LOVE Instagram. 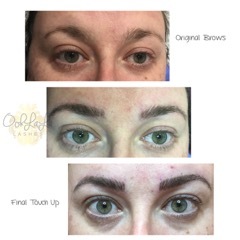 I love seeing what my Lash & Brow mentors are creating. Seeing other Lash & Brow artists work is always inspiring. I will literally have a cry, have a lil drink and cry to my boyfriend that this was a bad idea. After my lil dramatic moment – I pick myself up and keep trying and learn from my mistakes. I can’t ride a bike… yup…I said it! I have a cute bike collecting dust in my garage which I one day will dust off and actually learn. This is an easy question, it would be freezing time. I always seem to never have enough time in my day to do all of the things I need to get done.